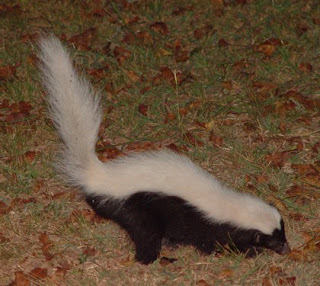 A rather large skunk with a single, broad white stripe from top of head to base of tail; long, bushy tail white all over with a few scattered black hairs beneath; rest of body blackish brown or black; white stripe on head truncate; snout relatively long, the naked pad about 20 mm broad and 25 mm long; nostrils ventral in position, opening downward; ears and eyes small; five toes on each foot; claws of forefeet much larger than on rear feet, strong and adapted for digging; pelage relatively long and coarse; underfur thin. Young colored like adults; sexes alike in coloration. Dental formula: I 3/3, C 1/1, Pm 2/3, M 1/2 X 2 = 32. External measurements average: (males), total length, 577 mm; tail, 248 mm; hind foot, 65 mm; (females), 542-202-68 mm. Weight, 1.1-2.7 kg, rarely to 4.5 kg. Females are smaller than males. Ranges across southwestern, central, and southern Texas, north at least to Collin and Lubbock counties; former isolated population in Big Thicket region probably extirpated. 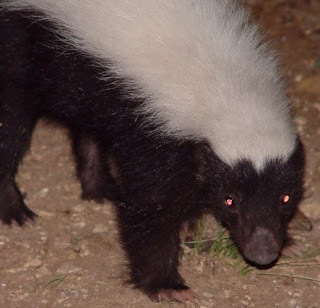 These white-backed skunks inhabit mainly the foothills and partly timbered or brushy sections of their general range. They usually avoid hot desert areas and heavy stands of timber. The largest populations occur in rocky, sparsely timbered areas such as the Edwards Plateau of central Texas and the Chisos, Davis, and Guadalupe mountains of Trans-Pecos Texas. A few have been reported from the Big Thicket area of East Texas, but these are apparently extirpated now. Their presence in an area usually can be detected by the characteristically "plowed" patches of ground where the skunks have rooted and overturned rocks and bits of debris in their search for food. This hog-like habit of rooting has led to the adoption of the term "rooter skunk." Most Texans know the skunk by this name. Although largely nocturnal, they are not strictly so. In midwinter in central Texas, many of them prefer to feed during the heat of the day. In this respect they remind one of the habits of the armadillo at that season. 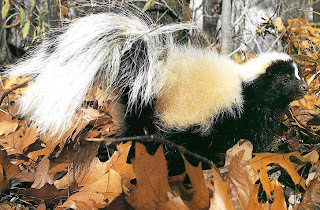 They seldom are as abundant in any part of their range as the striped skunk, Mephitis. 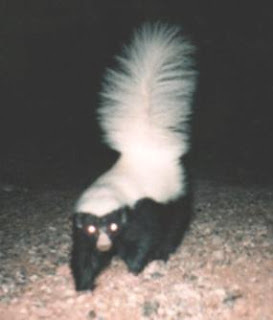 Like other skunks, they are relatively unafraid of man or beast and do not hesitate to defend themselves with their powerful musk if unduly molested. In the Guadalupe Mountains of western Texas, one of us (Davis) watched one at close range at night with the aid of a flashlight for nearly 30 minutes as it rooted about in search of food. When approached too closely, fair warning was given as the skunk elevated its tail and maneuvered to place the observer in the line of fire. As mentioned previously, these skunks prefer rocky situations when available because the numerous cracks and hollows can serve as den sites. Not only do they winter in such dens, but they also use them as nurseries. Unlike the striped skunk, this species is more or less unsocial. Usually only one individual lives in a den, but a trapper in central Texas reported that he once found a winter den occupied by two of them. 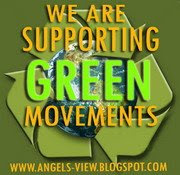 Their food habits make them valuable assets in most areas. Based on analysis of stomachs and other viscera of 83 "rooters" from central Texas, their seasonal food (expressed in percentages) consists of: Fall — insects, 52; arachnids, 4; vegetation, 38; reptiles, 6. Winter — insects, 76; arachnids, 12; small mammals, 9; vegetation, 3; with reptiles and mollusks making up the balance. Spring — insects, 82; arachnids, 12; reptiles, 6. Summer — insects, 50; arachnids, 9; small mammals, 3; vegetation, 31; snails, 5; reptiles, 2. The breeding season begins in February, and most females of breeding age are with young in March. The fact that the female has only six teats, as compared with 12-14 in the striped skunk, suggests small litters of young. Robert Patton found that females generally produce two litters, each consisting of three individuals. The late J. D. Bankston of Mason, Texas reported that he had never seen more than four young with a female. The young are born in late April or early May. 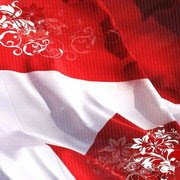 The gestation period is approximately 2 months. Nothing has been recorded on the growth and development of the young, but we do know that they can crawl about in the nest before their eyes are open and that at that tender age they can emit a drop or two of musk. By the middle of June they are about the size of kittens and weigh about 450 g. By August most of them are weaned and are "rooting" for their living.